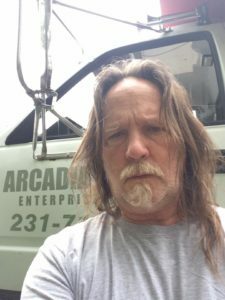 A few Libertarians in northern Michigan fared well in the most recent election, considering that the party just recently started establishing affiliates in the area. 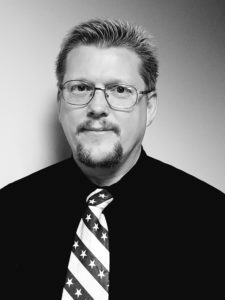 In particular, Manistee County had two Libertarian candidates who ran respectable two-way races, and a candidate in Cheboygan County also ran a strong race. Another Manistee County resident, David Holmer, received 26.3% of the vote in a race for Manistee County Commissioner. “I was happy with the turnout, as it was my first campaign. I learned a lot and had the support of many people,” said David, a Veteran and author. David attributes his success to his door-to-door campaign, as he got to know many residents personally and talk to them one-on-one about their concerns. Finally, Dana Carver of Cheboygan County garnered 30.9% in her race for Onaway County Commissioner. Dana is the Vice-Chair of the Straits Area Libertarian Party. Her passion and community involvement “on the front lines” helped lead her to an impressive finish. People listen when Dana speaks on issues such as cutting government spending, stopping police brutality, legalizing marijuana, and protecting gun ownership rights. 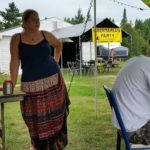 The Northwest Michigan Libertarian Party recently met in Cadillac to develop bylaw and to become an official affiliate of the Libertarian Party of Michigan. Now that Libertarians in Northwest Michigan are established, we are already looking for candidates to run in future elections. The plan is to run as many candidates as possible at county and local levels. We are also looking for outreach opportunities, and welcome your ideas. The Northwest Michigan Libertarian Party covers the counties of Charlevoix, Antrim, Leelanau, Grand Traverse, Kalkaska, Benzie, Manistee, Wexford, and Missaukee Counties. The bylaws were also written up to permit people from adjacent counties who do not have a group to join. David Holmer has a future in politics. He listens to the people and you may have noticed that he does not post his name and picture all over the county. He is out there himself, listening and helping where needed. He does not need to shout his name or tell how great he is. He quietly shows us by the way he lives his life. Many who know David totally agree! We are thrilled that he has taken on the role of Political Director.